It’s coming home, just not for NA. Fnatic, the reigning EU LCS champions, sent Cloud9, the NA LCS’ golden boys, packing today at the 2018 League of Legends World Championship semifinals. After last week’s quarterfinal matches, hopes were very high for fans of the NA LCS as Cloud9 stepped up and swept the LCK’s second seed, Afreeca Freecs. Fnatic won their series against EDG, too, but it was much less convincing than C9’s win. Before that, Fnatic would have been the clear favorites, hands down, as they were one of the best teams coming into the start of the whole event. Fnatic proved, however, that their messy win in the quarterfinals was merely a fluke, and that they should still be taken seriously as one of the best teams in the world. Today, they completely buried and outclassed Cloud9 in a 3-0 sweep. C9 only briefly had a lead in the third and final game, but otherwise, it was clear that Fnatic deserved to advance without a single doubt. While that made for a slightly boring series, it also means that the west is putting their best possible foot forward to face Invictus Gaming in the finals next week. So even if you’re a slightly depressed NA fan, hold your head high, because Fnatic are still the best the LCS has to offer in the Worlds finals. For the most part, Fnatic had control of the draft in this series. Ironically, the only draft it seems they lost was the first game, and that also happened to be the least competitive game as Fnatic racked up a gold lead higher than 10,000 at 20 minutes. After that game, though, C9 failed to flex their deep champion pool (except for the Viktor bot lane) as Fnatic continued to pull out new answers to C9’s repeated picks. So even when C9 showed that they may be able to come back, Fnatic’s innovative picks proved way more useful. With that victory, Fnatic advance to the finals for the first time since season one. In fact, this is the first time a western team has been in the finals in just as long. 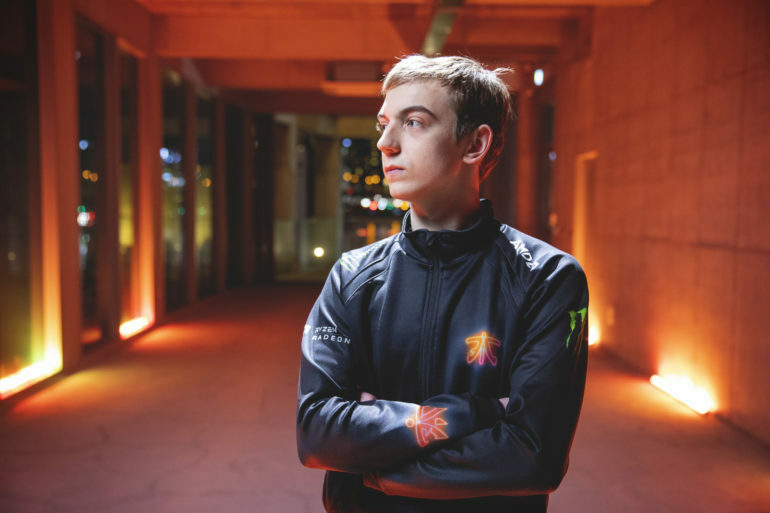 Even if you’re an LCS fan, don’t be too bummed if IG win, because their story is just as exciting. Just be happy that neither team in attendance is from the LCK. That means we’ll have something new no matter what. The Worlds finals kick off next Saturday at 2:30am CT.